How Can Zen Meditation Help? It is distinguished from other traditional forms in that the person practicing Zen meditation does not get into a ‘trance’. That is the person meditating is awake the whole time enabling him to experience the peace and serenity that each breath brings and thus receiving a more fulfilling experience. Of central importance is the place in which one is going to meditate, so select a comfortable and silent place where there will be minimum disturbance. Regulate the temperature and the light in the location. Maintain a balance and see that the conditions are not extreme. Place a rug and you are all set to go. A blanket or cushion works just as well. Whether you would place it on the floor or on a pad is up to you. There are various meditation pads and cushions available in the market. These are also referred to as zabutons and zafus and are target specific merchandise aimed solely for the purpose of meditation. But as a beginner you could start by using other general items like pillows, cushions and blankets. The first thing that Zen meditation, also referred to as Zazen, demands of a person is the ability to control his mind. This requires training. However this is not a cause for worry because of all the meditation techniques that one is exposed to these days, this is the simplest and easiest. Learning to control one’s mind is not difficult; just look up the subject on the internet and find the correct way of doing it. The worst thing you could do while mastering the technique to do Zen meditation is trying too hard. People more often than not push themselves too much and forcefully quiet their minds by clearing out their thoughts as fast as possible without giving the time that the thoughts demand. The person meditating must reflect upon all matter pressing them at the moment and then slowly calm down. While practicing Zen meditation it is required that you let your mind quiet down with certain autonomy and most importantly without resorting to force. The best way to start is by learning to observe your breathing pattern and understanding the basic structure of your thoughts. This helps you to detach yourself from your thoughts and enables you to compartmentalize your brain such that it becomes easier to clear out your mind and calm down faster. Needless to say, mastering this technique requires time and practice. However this is effective and with time you will realize that you are able to quiet down easily without spending much time or thought on it. Zen meditation is a sure way to reach your core and find complete peace and patience is the key to success. It is popularly believed that Zen meditation is practiced solely by Buddhist monks and philosophers but in truth common individuals too can use this technique of meditation. It is simple and effective. It gives you concentration and teaches you how to deal with the present. If you keep practicing this form of meditation you will see that you are progressively being able to think only about the moment at hand, all anxieties about the past and the future being relieved. Zen meditation teaches you to connect with attributes of your self that you didn’t even know existed and finally be at peace with your body, mind and soul. When many people hear the word “meditate,” they think of a man in a loincloth with a serene look on his face sitting cross-legged on top of a mountain. Meditation, however, isn’t nearly as esoteric as people think. It doesn’t require years of study or mystical knowledge from on high; all it takes is practice. Meditation is a spontaneous flow of consciousness when all the conditions are just right. It’s about listening inwardly with a quiet mind for the wisdom and guidance of a more expansive and unlimited mind. All the arts of relaxation — breath control, contemplation, prayer, affirmation, repetition of a mantra, and visualization — are different, but they all direct you toward self-realization and a deep meditative state. Different systems of thought and traditions vary in their meditation techniques, but they all have the same goal: to reach the point of stillness, quiet, and communion with the essence of your being. With meditation, you discover how to quiet your mind and increase your level of energy and enjoyment of life. You experience the natural joy of being in meditation, and you establish a greater confidence and a higher understanding. Meditation can deliver deep inner peace; increase your mental stamina; improve your memory; enlarge your multitasking abilities; and teach you to organize your internal awareness and concentration. Mantra meditation: You focus your attention on a repeated word, thought, or sound. Metta or loving kindness meditation: You practice acts of generosity or loving kindness toward others. Stair-step meditation (or modified progressive relaxation): You focus on different areas of your body with the aim of relaxing those areas one at a time. Mindfulness: You observe whatever goes through your mind without judging or analyzing it. This author writes about Wooden Plant Box and Bench Dog Design. Visit the Plans For Wardrobe website for unique wardrobe cabinet design ideas. There are a lot very good reasons for developing a meditation practice. You are likely to be healthy both physically and mentally. You’ll have less stress. You might gain some insight into the workings of your own mind. Your friends may find that you are easier to be around. Then there are the spiritual goals. Some people use meditation as a form of prayer. For some it means learning to be in the moment, with the hope that this more natural and peaceful state of mind can be carried into everyday life and activities. Other find that meditation helps them to become more compassionate. Whatever your reasons for meditating, it also can just be pleasurable and interesting. If you want to make it more pleasurable and more interesting, there are some things you can try. The following are just a few examples. The first thing you might want to try is meditation CDs or other recordings that use brainwave entrainment technologies. These make meditating easy. Just put on your headphones and listen – that’s all it takes. You will be guided into an Alpha state or deeper without any effort. 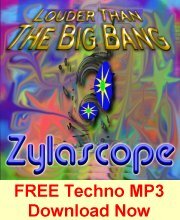 Some of these recordings are designed strictly for meditation. 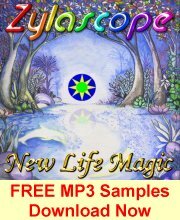 They are often sold as sets, with each CD or MP3 download meant to take you into a deeper state of consciousness. Others are meant to take you in and out of deeper states on a sort of brainwave roller coaster ride. These might be more useful for stimulating creative thought, or for entertainment than for meditating. One thing about this powerful technology that makes it very interesting, is that it does the work for you. Some will claim that you lose something if you replace regular meditation practices with brainwave entrainment, and this is a possibility. On the other hand, there is no reason you can’t do it both ways. The power of this technology (if you listen while laying down, you’ll probably fall asleep in minutes) means you can meditate in places and circumstances that are normally ruled out. For example, you might not ordinarily think of meditating in the lunch room at your place of employment, or in a coffee shop. But with a meditation recording on an MP3 player, you can do this easily. Sit back and close your eyes and hit the play button. The others in the room will assume you are listening to music, and the recording will diminish the volume of all the distracting sounds in the room. You can also take a walk while meditating. Just clip that MP3 player to your belt or drop it into your shirt pocket as I do, and put in the ear-buds. I like to walk the woods or along a beach while listening to a brainwave entrainment recording. You might try it on city streets as well. In fact, the small size and almost meaningless weight of MP3 players has opened up many interesting ways to practice meditation using brainwave technologies. There are many ways to improve the quality of your life, but one that you may not have thought of is that of meditation. Some don’t believe it can offer them benefits but there is one thing that meditation and yoga can definitely provide to you: the ability to relax. Yoga is a great tool for both exercise and relaxation. Both meditation and yoga have been shown to provide improvements for those that are in need of stress relief. And, when you learn how to do them effectively, it takes minutes a day to wash away your stresses. So, how does this fit into your lifestyle fitness plan? It’s simple. You need to spend ten minutes each day, usually before breakfast, quietly meditating or doing yoga. Ten minutes per day is all that it takes to see significant improvement in your overall well being. When you take into account all the things that you are doing in the morning you may not think you have time. But, again, invest the time for a couple of weeks and you are sure to see the improvements quickly and they will not be such a demanding time taker. You can learn how to do either meditation or yoga (or both if you like) easily. Some people are familiar with it enough that they can learn how to do is through at home study. It’s often a better solution, though to learn with others through a professional. Get together with a friend and take a class at your local recreation center or your community college. You’ll find that once you learn the technique you can do the process on your own, easily. Mindfulness meditation is a process that can help you get in touch with yourself and your mind. This practice, a series of meditation techniques and philosophy, descends from Buddhist teachings. Basically, mindfulness involves having a total awareness of one’s self, their mind and body and consciousness, as well as having a completely open and curious mindset. Most importantly, mindfulness involves slowing the mind down so as to be aware only of the immediate present. Before attaining this mindset, one must clear away all thoughts of distraction. How can you start doing this? Start by finding a quiet and comfortable place to relax. You don’t have to lie down; in fact, you can sit in a chair or on the floor. Keep your head, neck and back straight, but do not tighten up. Now it’s time to try and relax. Remove all distractions from your mind, everything related to the past and future. Live in the present and let your mind become only aware of the immediate present. It also helps to use what is called the “anchor.” This is an object that can be focused on, in order to help you clear your mind. Some doctors have used physical objects (remember the old swinging clock?) though a more modern anchor is a concentrated series of breaths. If you become aware of your breathing, and focus deeply on the sensation of the air moving in and out of your body, as well as the rising and falling of your belly, and you really focus on all these physical processes, then this can be your anchor. Do not try and ignore other thoughts and distractions because this will involve too much fighting. On the contrary, let the thought come and go and concentrate on remaining calm. Eventually you will start to feel this completeness and calmness. After it passes, sit still for about two minutes and let yourself become aware of where you are. Return to routine gradually, slowing things down. Guided mindfulness meditation will help improve many aspects of your life. When you experience Buddhism you experience…life. Visit BuddhaLogic.org | the ultimate tool for self discovery. A symphony continually plays inside your body. A harmony of rhythms works without interruption to keep you alive, and when one system loses its tempo, the melody — that is, your health — begins to suffer. Though we tend to notice the aches and pains of living and the wrinkles of aging more than the miraculous coordination of the body’s functioning systems, it is important to acknowledge the phenomenon that is the human body. The following meditation will give you an opportunity to offer your body the recognition it deserves, while creating a sense of empowerment and an atmosphere of calm. Begin by turning your attention inward. Breathe. Notice your lungs. Your lungs draw-in oxygen and release carbon dioxide over 15,000 times every day. Thank you, Lungs. Your heart beats about 100,000 times every day of your life. Thank you, Heart, for keeping me alive. Life-giving oxygen is carried from the lungs and heart through hundreds of miles of blood vessels, nourishing each and every cell. All this occurs without conscious thought or effort. Thank You. Your bones not only provide your body with a structural framework, but the marrow inside produces your blood cells; talk about a multi-tasker! Thank you, Bones. The ligaments, muscles, and connective tissues form your personal shape, and make movement possible. Each of these parts conforms depending on how the body is being used. I am thankful for my movement. The skin is your largest organ and spans about 20 square feet! The skin serves as a layer of defense which protects against the outside world. Thank you, Skin. The immune system furthers our protective defenses, fighting disease and cancer on a daily basis. The colds we contract are few compared to the number that have been detected and eliminated already. I appreciate my immune system. Lymph is the immune system’s highway. This silent transportation network reduces inflammation, and maintains health. For this, I am grateful. Seven glands secrete the hormones that construct the finely-tuned symphony of chemical communication and function. Thank you, Endocrine system. I am thankful for my liver, my stomach, my intestines, my pancreas, my kidneys and my bladder. My organs work in ways beyond my comprehension, and allow life. The brain and the billions of nerves in the body combine function with the network responsible for managing the body’s other systems. For this, I am thankful. Try using this meditation to help you express gratitude for your body. Every second of every day, the body works in a concert of precision and artistry while you’re busy navigating traffic, surfing the internet, chomping down fast food, or daydreaming. Add this quick, few-minute meditation to your schedule and recognize the many miracles needed to keep you alive. Preparation is the key to so many things, meditation included. In order to get the best benefits from your guided meditation it is necessary to create the right environment. To get the most from your guided meditation choose a quiet place where you will be able to listen without any distracting noises. You may choose to listen through headphones or speakers, which ever suits you best. Remember get the volume right first before you settle down to your guided meditation. Staying still in one place is much easier when you are totally comfortable. Listening to guided meditations whilst lying down either flat, for example on a bed, or propped up slightly on your sofa is the best way to relax your body. It is also important to be at a comfortable temperature for you. You may want to heat the room, cover yourself with a blanket or pop some warm socks on. Remember to wear something comfortable, nothing too tight or restricting. Organise your meditation time without disturbances. Maybe when you are on your own or when the kids are asleep. You may also want to put a ‘Do Not Disturb’ sign on the door and let people know that you do not want to be disturbed and for how long. Make sure the lighting is suitable for you. Close the curtains if you wish, light a candle or put on a soft table lamp. Experiment and get it right for you. Although guided meditations will calm and relax you it is still important to be in the right frame of mind when you begin. You will not get the most from your guided meditation if you are angry, upset or rushed and constantly thinking other thoughts. Maybe take a short walk first or shake each leg and arm several times and shake off those lingering negative emotions. Have a glass of water ready for when you finish your guided meditation. Take a moment after opening your eyes to relax and drink the water slowly. Think about when is a good time to do your guided meditation. You won’t want to be rushing around straight afterwards, maybe last thing at night is good for you or schedule in time when you get home from work. How often is up to you. What feels right for you and remember as with all habits this will all come naturally the more you practice. The concept of meditation has reached a stage of widespread popularity. Most people around the world know about its benefits, but only vaguely. Even as there are many CDs, books and magazines to provide ample information on the subject, the compatibility of different meditation techniques always varies from individual to individual and can be practiced only when the thing is tested by a professional. The object of this article is never to turn your views against meditation. It would be foolish to try to do so, since meditation and its effects and the positives it can offer have been proven beyond any doubt. But the opportunity is taken here to let you know how wrong the choice of a meditation technique can be for you unless it really suits you. Possibilities are that without the help and guidance of an appropriate teacher, you might only be able to derive minimal advantages from it. Indeed, the objective instead should be to optimize meditation, to find out what suits you best and get the maximum advantages out of the same. But there is another and a very serious problem involved. When you place yourself before the vast sea of information about the principles, basic philosophies and practices of meditation, chances are you might simply get bedazzled. After all, meditation, though it grew primarily out of the Pan-Hindu cult in greater parts of India, different sects (e.g. Buddhism) have molded it in different patterns to suit their individual needs. So you are likely to get confused regarding which path you should undertake for yourself. Unless you are individually guided in this path, it is too tough for anyone to grasp the entire philosophy of the art he or she is practicing. Some people contemplate joining a group to solve the problem, but really it helps little. The only solution that follows is to get a professional who can guide you individually in this business. During the course of the training be sure to let your instructor know your personal needs from meditation, so that he or she can alter his or her own schedule to optimize the learning for you so that you gain maximum benefits. a. Be very specific and objective about your meditation goals. For this, you first need to know what you really want from the process. b. Find the suitable program of meditation. Choose the one that suits your lifestyle best. c. Speak with the teachers of guided meditation and find out a suitable program for yourself. d. Get to know clearly about the duration of the course, its calculated costs, and the clauses for refunding of initially paid money and the guarantees given by the course authorities. e. Practice the techniques for a while and get to know if they are really working for you up to the satisfactory level. You are the one who would know best. Please realize that this is a course offered to you by professionals so that you can improve your lifestyle, your living habits and your management skills. If, in any way, you are not satisfied with your progress, be bold enough to let your teacher know so that your money paid can be refunded back. It is never really just an ordinary set of exercise for you-even after you will have completed the course, the effects must guide you towards further, continuous practice and an improved state of living. So the phrases like “Nobody can teach you to meditate,” and “It’s all up to you,” are simply not to be paid heed to. There is more to Meditation breathing than just taking long, deep breaths although that is a good place to start. Once you are meditating on a more regular basis and you want to start achieving deeper levels of meditation and relaxation you will need to try using different breathing techniques to help you reach those goals. Here are some easy meditation breathing exercises that are commonly taught to people who are just starting to meditate. If you have any trouble with some of the more advanced breathing techniques later on down the road you can always come back to these basic breathing techniques. Long Deep Breathing – Long deep breathing is essentially what you’re already doing; it’s just doing it in a more focused way. Long deep breathing is when you use your diaphragm to breathe in, hold a breath for several seconds, and then blow it out. This type of breathing is excellent for reducing tension or calming you down when you’re angry or upset. Breath of Fire – The Breath of Fire technique is a breathing method used primarily in Kundalini meditation. Breath of Fire is performed by pulling in oxygen through your nose then pumping it out of your body rhythmically without tensing your chest, rib cage or abdominal muscles. The Breath of Fire, when done correctly, has the same action that a bellows that is used to start a fire has. It’s usually the second type of meditation breathing exercise that people learn. It is important to must some breathing techniques so that you can have effective meditation sessions. Most of us lead busy, fast-paced lives. We have too much to do and too little time, and may be dealing with career pressures, family difficulties, or financial problems on top of everything else. Doctors have known for some time that there is a direct link between stress and a variety of health problems including headaches, stomach problems, heart problems, skin conditions, and high blood pressure, as well as depression and anxiety. While we can’t eliminate all stress from our lives, we can take steps to reduce its effects, and meditation is a wonderful way for you to calm down and regain your balance. Meditation has been used for centuries as a way for people to reflect, relax and connect with their inner selves, but it is not some mysterious ancient art that requires years of study. At some time in your life, you have probably experienced a meditative state, a feeling of peace and serenity, simply by walking through the woods, or enjoying a beautiful piece of music. With just a little practice, you can achieve that peaceful state whenever you wish, and feel refreshed and ready to take on life’s challenges. Pick a time that works for you. If you have children, wait until they are in school or napping. Many people meditate in the morning as a relaxing way to start the day, while others like to meditate before bed. The time of day is not important, nor is the amount of time you spend meditating. Twenty to thirty minutes is good, but even if you can only spare 5 or 10 minutes you will still benefit from it. Choose a quiet place with few distractions. If you like, you can light incense or a scented candle, but it isn’t necessary. Some people find it helpful to listen to relaxing music or nature sounds while meditating; others prefer complete silence. You can sit cross-legged on the floor, or sit in a chair with your back supported. The important thing is that you are comfortable. Place one hand on each thigh, or cup your right hand under your left in your lap. You do not have to stay still to meditate! It’s ok to move or scratch an itch! Don’t feel that you have to shut out the world completely to get the benefits of meditation. If the phone rings, or there is some other brief interruption, just take care of it, then go back to meditating. Keep your spine straight, but not stiff, as this allows you to breathe deeply. Breathing deeply helps you to relax and concentrate because more oxygen is getting into the bloodstream. And deep breathing actually slows your heart rate. When you have found a comfortable position, begin focusing on breathing deeply. Follow each breath as it enters your nose, goes down into your lungs, and then out your nose again. Feel it on your upper lip as you exhale. Breathe in to the count of 4, and exhale to the count of 4. Feel the muscles in your body beginning to relax. Don’t be concerned if you find it difficult to relax in the beginning. Trying too hard to relax can be stressful in itself! You may find yourself thinking about work, or all the things you need to take care of that day. If so, just acknowledge the thoughts that come into your head, but then let them go and focus again on your breathing. You may also want to start with shorter periods of meditation and work up to longer sessions. Visualization is a great tool to help you relax. Imagine yourself in a place that you find peaceful, for example, the beach. Think about the sounds you would hear there: the cries of the seagulls, and the sound of the waves on the shore. Imagine how the sun feels on your skin, and the smell of the salt air. You might choose to visualize being in the woods, or in the mountains. Whatever you choose, imagine every detail as if you are actually there. Meditation is only one of the ways to reduce the stress in our lives. Eating healthy foods and getting enough sleep and exercise are also very important. Take a look at your lifestyle and decide whether you need to make other changes, but try meditation, too. It is a great way to relax and reduce the negative effects of stress, and you will feel the difference immediately.